We all know Guinness as the rich, dark stout brewed in Dublin, Ireland. It is one of the most well-known brands in the world. Guinness not only makes a great drink but has had an association with food for over 170 years and not just raising a pint of the black stuff alongside but actually used in the food. 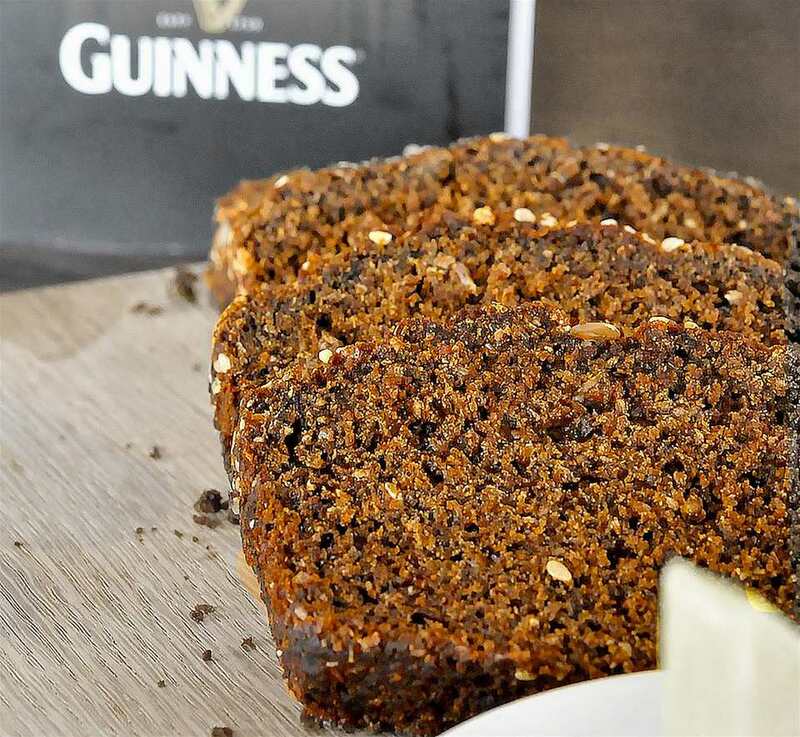 It has many, many uses in cooking as well, with this recipe for Guinness bread being just one example. This recipe is a soda bread recipe, thus, incredibly simple to make and perfect for anyone who prefers to cut down on yeast. The recipe calls for draught Guinness, but if that is a problem (i.e., you don't have a pub handy where you can buy a pint) then use bottled. Preheat the oven to 350 F and lightly grease a loaf tin with butter. Add the butter and rub into the dry ingredients until it resembles fine breadcrumbs - I recommend working quickly as the mixture can easily become greasy if over mixed, or mixed using too warm hands. Add the milk, black treacle molasses, and the Guinness. Mix to create a wet dough. Grease a standard loaf tin, add the wet dough and bake in the oven for 40 - 45 mins or until the bread is well risen and thoroughly cooked. Leave for 10 minutes in the tin, then turn out onto a wire rack to cool. Eat while slightly warm if you like, or allow to go completely cold. Delicious with salty butty and Irish smoked salmon, cold meats or cheeses. The recipe comes courtesy of the home of Guinness, the Guinness Storehouse in Dublin, Ireland. The storehouse was a fermentation plant for 84 years but is now a 7-story visitor center.